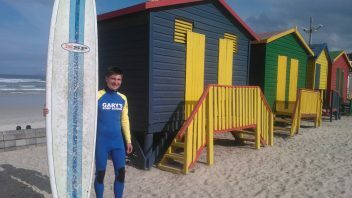 Our shop in Muizenberg offers level 1 beginner surf lessons & our mobile surf school offers level 2 intermediate surf lessons, if you are wanting to learn or looking to better your skills then this is for you. We have a wide selection of surfboards and wetsuits available for rent in all shapes & sizes. We also offer daily & weekly rentals! 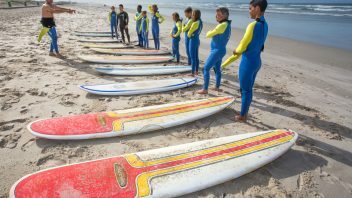 An I.D or driver's license is required for all rentals and will be returned after your surf. We offer children's birthday parties in Muizenberg and Blouberg, what better way to celebrate a birthday with friends. This is something we offer in Muizenberg and Blouberg, its a great way for everyone to come together and experience the surfing lifestyle.